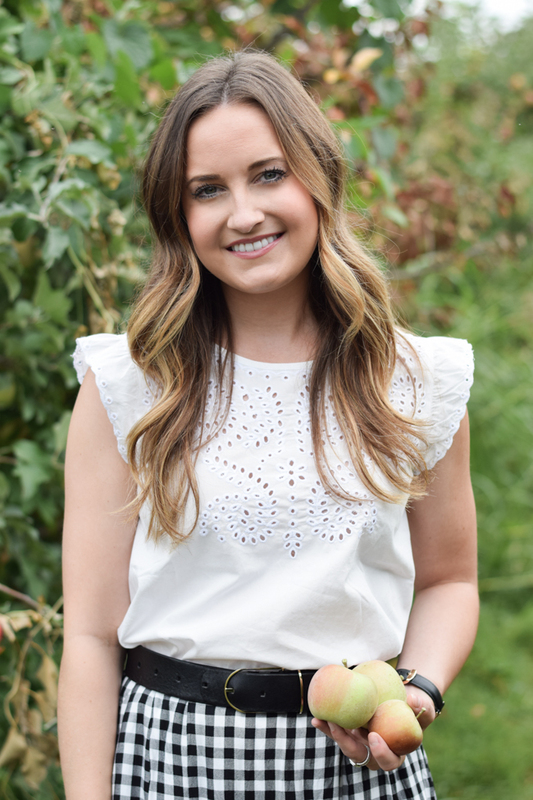 One of my favorite things about living out in Northern Virginia Wine Country is living in close proximity to so many farms and markets that sell fresh, local produce. Last weekend, when the girls came out to visit from DC, I took them to Great Country Farms to do some apple picking! 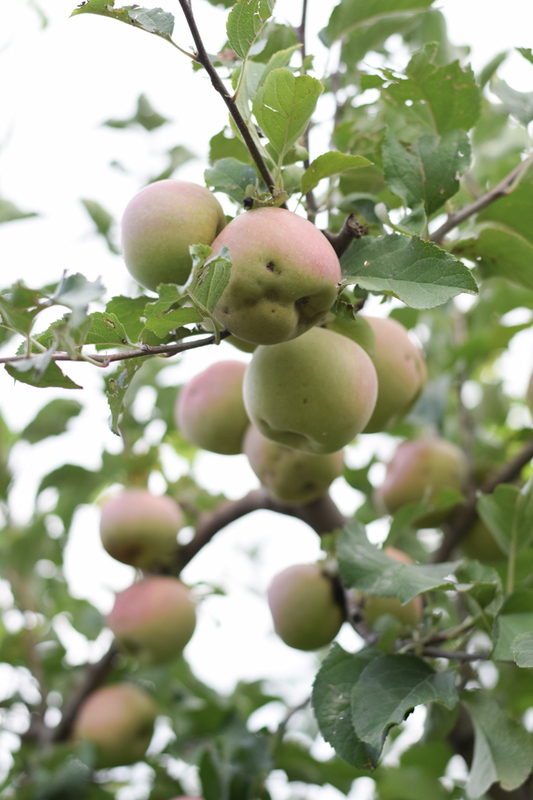 Apples are at their peak right now. 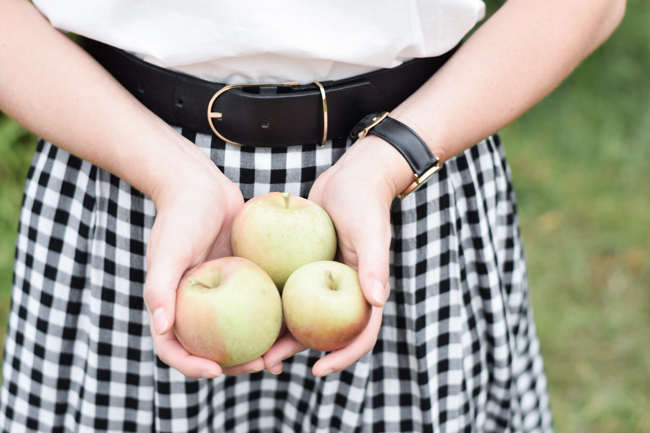 So now is the perfect time to snag some local apples from your farmers market. 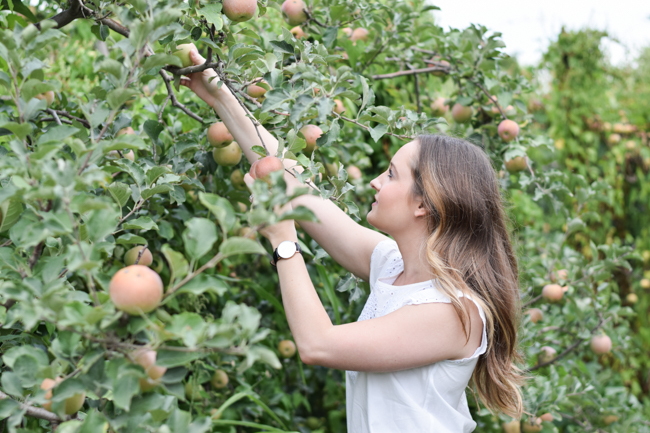 If you live in the DC area, I'd highly recommend heading over to Great Country Farms for the day for some apple picking! Don't forget to bring home a dozen of their homemade Apple Cider Donuts. I knew we would be in longer grass, so I made sure to wear my Hunter boots. I love the packable ones because they are lightweight and don't make you too hot with the late summer heat. 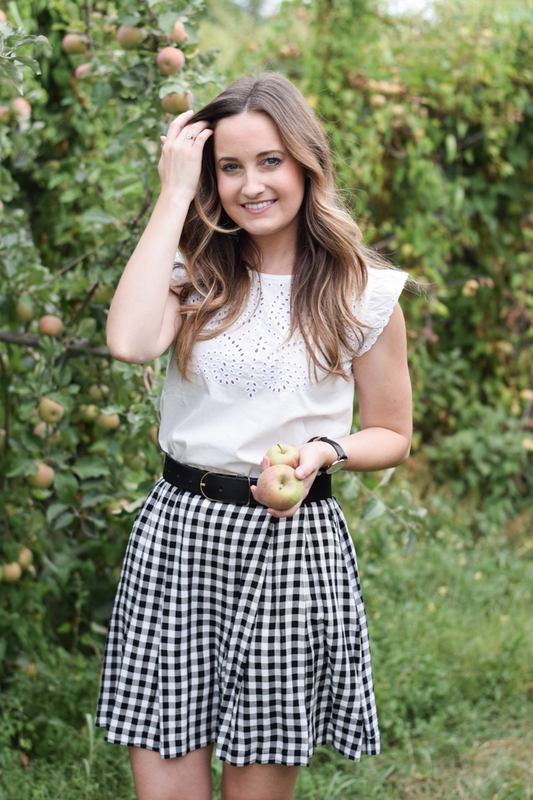 I am also not one to wear something just once...do you remember this eyelet top from this post (one of my all-time faves) and the time I wore this gingham skirt? To me, one of the most fun things about fashion is being able to mix & match old pieces and come up with new outfits that I love just as much. Stay tuned for Friday's post because I am styling more orange for our Football Fridays series! 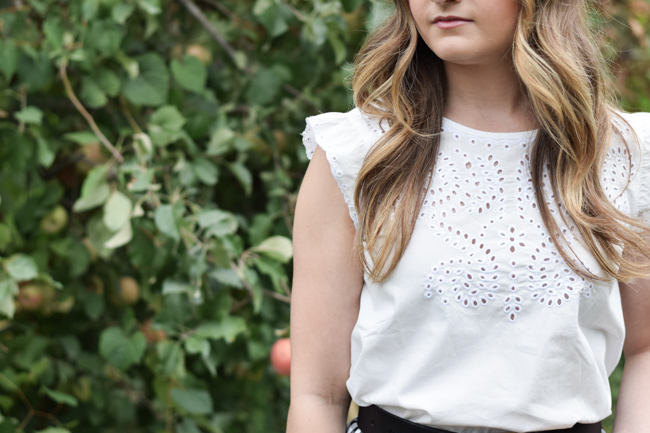 Be sure to check out the first look I styled if you haven't already. 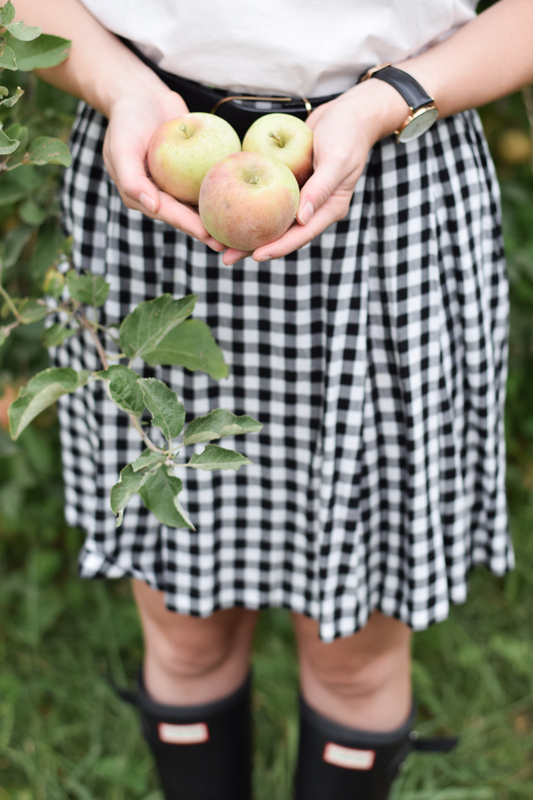 Apple picking can be really therapeutic and seeing you wearing your Wellies makes me very happy, you look gorgeous, I always wear my Wellies when I go apple picking. 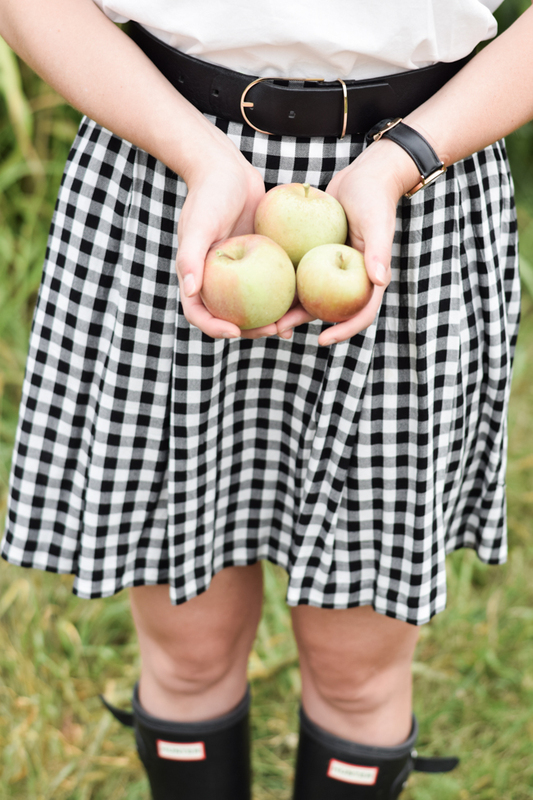 I love apple picking! I just wrote my own post about it. I love your outfit. So cute! !